Here are the answers to some of the frequently asked questions about our products. The FAQ system is the quickest way to find answers to your questions. However, if you cannot find the answer you need, please feel free to contact us. See instructions at the end of the page. How do I download a Ciclo software product? Please go to our download page and follow the step-by-step Download Instructions for Ciclo software products. 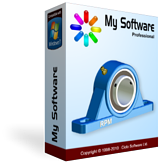 How do I install a Ciclo software product? Please go to our download page and follow the step-by-step Installation Instructions for Ciclo software products. 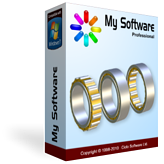 How do I uninstall a Ciclo software product? Please go to our download page and follow the step-by-step Uninstallation Instructions for Ciclo software products. 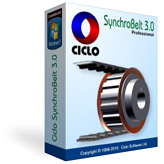 What are the System Requirements for a Ciclo software product? When I try to run the installation file, I get an error message "... header corrupt" or "... not a valid win32 application". What can I do? The likely error cause is that either the download process was not completed, or the installation file was somehow corrupted during the download process. Delete the installation file you have downloaded. Temporarily disable any download accelerators or managers installed on your computer. Download the installation file again. When I start the Setup Wizard, I get an error message "... Unable to generate installation log file". What can I do? 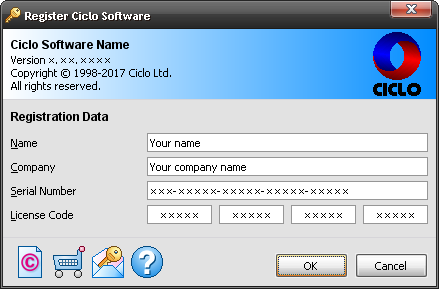 The Ciclo software installation must be done from an account with Administrator or Power User privileges. Run the Setup Wizard as an administrator. Log on to your computer with an account that has administrator rights. Elevate your permissions level to administrator. Contact your system administrator to install your Ciclo software. When I am running the Setup Wizard, the window that displays the installation progress bar appears to hang or freeze. What can I do? Some antivirus programs may interfere in some way with the installation process. Make sure that your installation file is free of virus and malware. Temporarily deactivate your antivirus software. Can I try Ciclo software products before purchasing them? Yes. Without any authentication request or user identification method, you can freely download and install any of our software on your computer. Thus, you can thoroughly evaluate the product before purchasing it, even though the evaluation version may have some functionality limitations. Can I freely create my own projects with the evaluation version? No. The evaluation version is intended only for technical and qualitative evaluation of the software attributes, such as usability, capability, efficiency, accuracy and reliability. All the commands and controls of the evaluation version are available and enabled exactly like the registered version. However, there are functionality limitations that restrict some design parameters in the evaluation version. This means that some input data of your project can be replaced by sample values. To remove these limitations and ensure full functionality, you need to purchase a license and register your Ciclo software. What is the best way to evaluate a Ciclo software product? Click the File menu and open the Sample file that should be included in the list of most recently used files at the bottom of the menu. On the Reports toolbar, select a specific type of report to view the project data. On the Standard toolbar, click the [Project Information] button and edit general data of the project. On the Navigation toolbar, choose a particular project item to view its design data. On the Creation toolbar, click the [Select Data] button and change parameters and input data of the selected project item. On the Creation toolbar, click the [Select Components] button and use the Dynamic Selector to visually change the dimensions of each design component. On the Creation toolbar, click the [Analyze Design] button to perform an engineering analysis of your modifications in the current design. On the Reports toolbar, select different types of reports to view assembly drawings, working drawings, and other design details. On the Standard toolbar, click the [Options] button and customize the look of reports and drawings, and change the units of measurement of input and output data. On the Standard toolbar, click the [Print Preview] button and use the Zoom tool to dynamically reduce or magnify the image of any report. Finally, you can create a new project item by clicking the [Add Item] button on the Creation toolbar and then repeating steps 6 through 8. How do I purchase a Ciclo software product? You can acquire our products, by purchasing End User Licenses through an online ordering system. Please click Purchase and follow the instructions at the bottom of the page. The online purchase order processing is performed by PayPal, the global leader in online payments. Once your payment is complete, you will be emailed a receipt for your transaction from PayPal. As soon as we receive the confirmation from PayPal, we will send you an email containing the License Code that registers your software and activates fully its functions. How do I update or upgrade my product? Go to our download page and download the latest version of your Ciclo product. Your license will be automatically recognized. No. Updates and upgrades are provided free of charge to all registered users. How many design items can I include in a single project file? Technically, you can add as many items as you wish. In practice, the size of your project is limited only by the available resources on your computer. Can I open more than one project file at the same time? Yes. You can open and edit more than one project file simultaneously by using multiple windows. 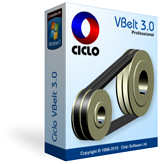 Simply start your Ciclo software more than one time, such as can be done with Notepad, Paint, WordPad, and many other Windows applications. Can I use my Ciclo software commercially? Yes. If you have a registered Commercial License, any design you make with your Ciclo software can be used for industrial, commercial, professional, or for-profit purposes. This also applies to all reports and drawings generated by the application software. Can I customize the reports with my logo? Yes. Ciclo software is designed to allow you to easily customize the layout and look of your reports and include your business logo or any other personal image. Click the [Options] button on the main window. Or click the View menu and choose Options. In the Options dialog box, click on the [Reports] tab. Enable the [Customized logo] check box and click on the [Select image] button. Choose the image file you want to use and click on the [Open] button. Can I export my reports to PDF format? Ciclo software products do not directly support output of PDF format. However, you can easily export Ciclo reports to PDF format by printing to a PDF printer driver. There are several shareware and freeware applications available on the Internet that install PDF printer drivers. The same method can also be used to export or convert reports to many other file formats, such as DOC, XLS, JPG, GIF, TIF, PNG, FAX, and so on. When I am running my Ciclo software, I get an error message "Run-Time Error 7: Out of Memory". What can I do? 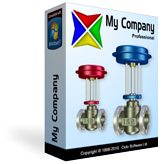 Ciclo software uses Windows resources shared with other Windows applications. This error message is generated when more memory is being required than is currently available. 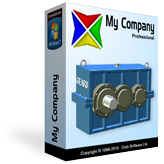 Close any unnecessary applications, documents, or source files that are in memory. Start your Ciclo software before other applications. Consider adding more physical memory to your computer. If you didn't find an answer to your question in the FAQ, please use the Contact Form to contact Ciclo technical support directly.